A few days ago Ferrari streamed the reveal of their new F60 F1 Racecar on their website. Naturally video and photos are starting to trickle down. 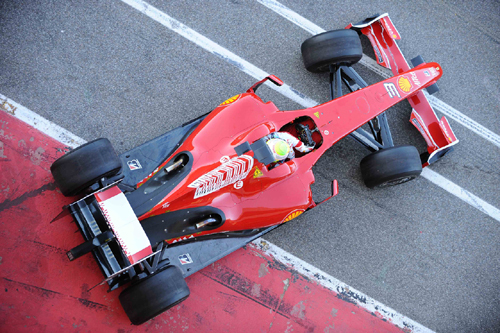 Check out this helmet cam vid of Felipe Massa breaking in his brand new toy on a test track in Italy. Stay tuned for more pics and video.